From a very early age, it became apparent that David Foster was going to make his mark on the music scene. This he has certainly done, with a long list of Grammy Awards and Academy Award nominations for his music and songs. In fact, there may be only four or five Canadians who have ever reached such international success and recognition in the music field. Born in Victoria, David Foster progresses quickly from piano lessons at the age of five to a summer music scholarship at the University of Washington at the age of 13. At sixteen he was launched into his professional musical career in the backup band for rock ‘n roll legend Chuck Berry. After moving to Los Angeles in 1971, he built a solid reputation as a musician, composer, arranger and producer whose talents were sought by a virtual who’s who of the music world. But he is much more than a successful and respected international music giant. He has added even more lustre to his list of credits with the David Foster Foundation Society, giving generously of his time and talent to raise money to assist families of British Columbia children who require organ transplants. The Foundation has raised more than one and a half million dollars over the past seven years so that children won’t have to be alone through this traumatic time. 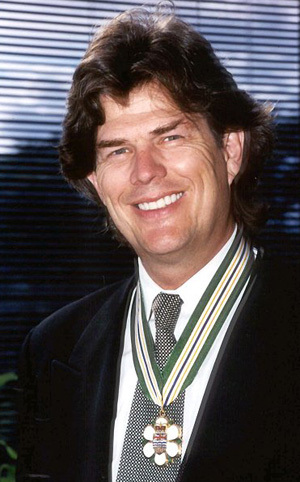 In recognition of his musical success and humanitarian efforts, David Foster received the Order of Canada, and was recently granted an Honorary Doctorate from the University of Victoria.